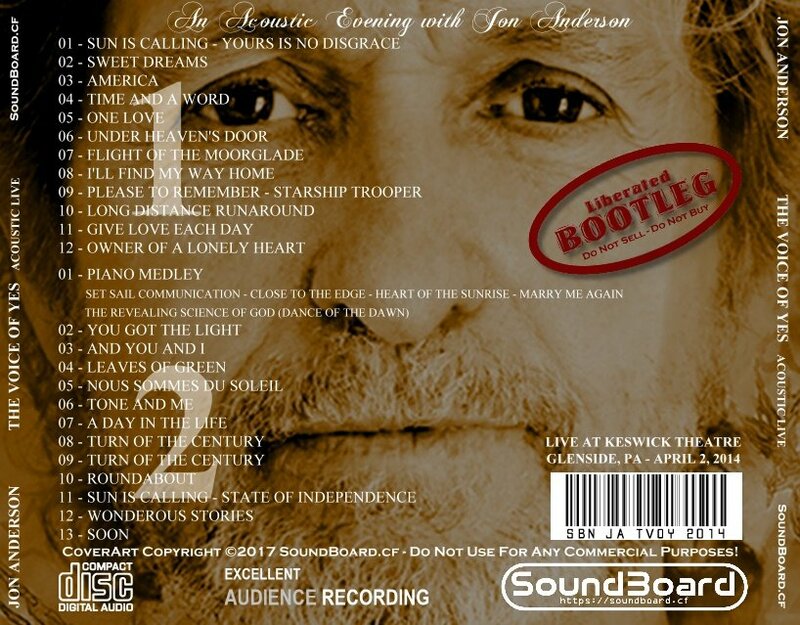 Yes's Jon Anderson brought his solo acoustic show to Philly last night Just Jon and his array of instruments. Jon is putting on an intimate one-man show on this tour that touches on the many songs he wrote while with YES. His instruments of choice include guitar, dulcimer, ukelele and piano and of course his unmistakeable voice. What some may not realize, is that Jon has a great wit and a delightful sense of humor that is completely engaging alongside the music. In addition to the classics, Jon will also be touching on recent works - some which have been made available as digital downloads. His work with Vangelis will also be included in the setlist. Expect a bit of magic when Jon Anderson hits the stage! The Voice Of Yes 0 out of 5 based on 0 ratings. 0 user reviews.